What’s so great about these vegetarian crockpot recipes? Yes, you read that right. You can either cook these meals fresh or assemble and freeze them to cook later. 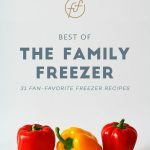 Just add all of the ingredients to a gallon-sized freezer bag and freeze for up to three months. When you’re ready to cook, thaw overnight in the refrigerator (or in the morning in water). 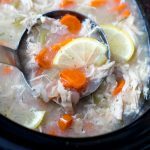 Add to your crockpot and dinner is done. Click the links above for the recipes. 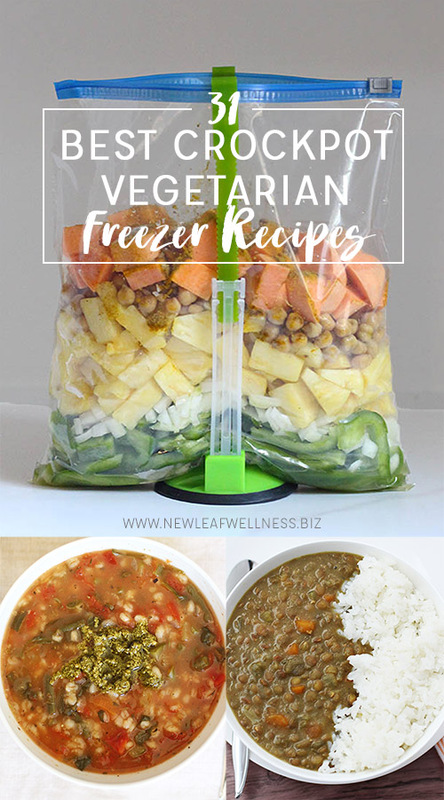 If the recipe doesn’t contain freezer directions, simply combine all of the ingredients in a gallon-sized plastic freezer bag, remove as much air as possible, and freeze for up to three months. When you’re ready to eat, thaw the bag in your refrigerator overnight or in water in the morning. Cook according to the recipe’s instructions and dig in. Mushroom Spinach Stroganoff is one of my all time most favorite recipes. I can use it in so many ways to create many different dishes. 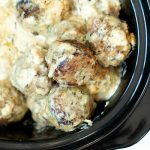 I put it over black bean pasta, over roasted vegetables, ladle over a baked potato, the options are endless with this awesome recipe. 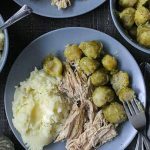 Thank you so much for sharing this one and your many other wonderful recipes. Love your blog, have learned so much from you! Sarasota Vacation Rental and Beach photography and Things to do in SRQ!